Presentation slide introducing the TIM Reflection tool. 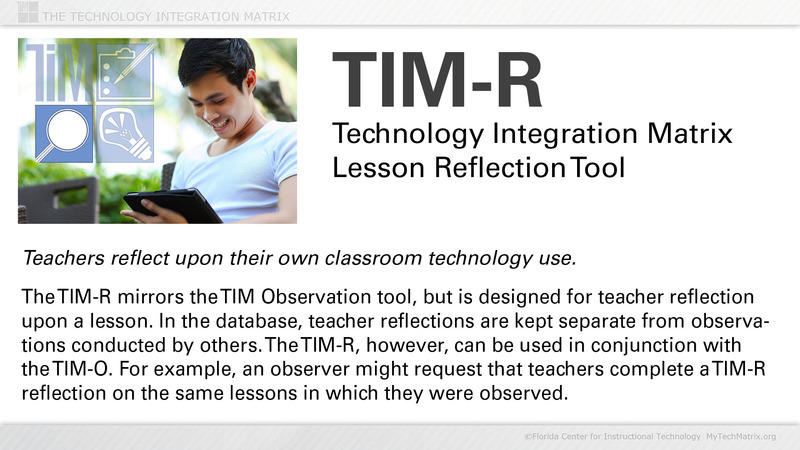 The TIM-R tool provides a means for teachers to reflect upon their classroom technology use in a particular lesson. The TIM Reflection tool is a variation of the TIM Observation tool and is one component of the TIM Tools suite. 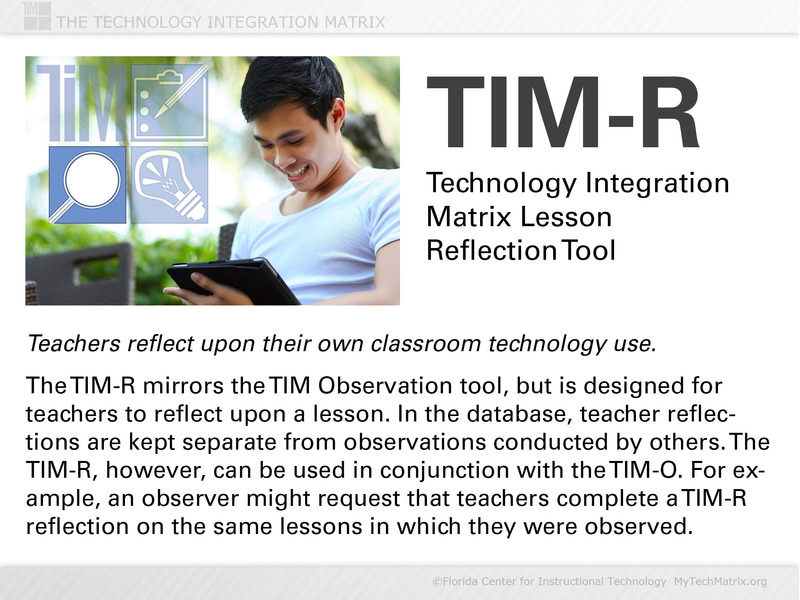 The TIM-R mirrors the TIM Observation tool, but is designed for teachers to reflect upon a lesson. In the database, teacher reflections are kept separate from observations conducted by others. The TIM-R, however, can be used in conjunction with the TIM-O. For example, an observer might request that teachers complete a TIM-R reflection on the same lessons in which they were observed.